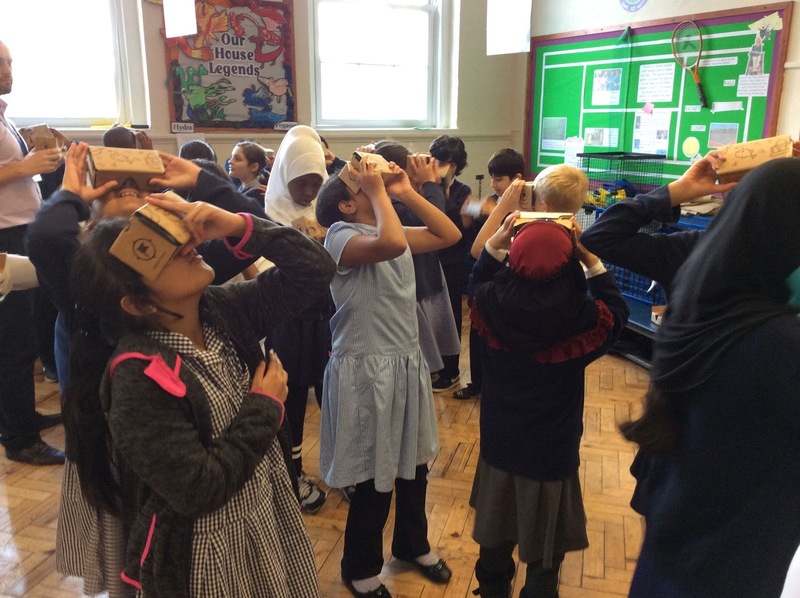 In September this year, children at Central Park Primary School were given an amazing opportunity to explore the virtual world with the Google Expeditions Pioneer Program. The expeditions enabled teachers to take their classes on virtual field trips, immersing students in experiences that bring abstract concepts to life and giving students a deeper understanding of the world beyond the classroom. 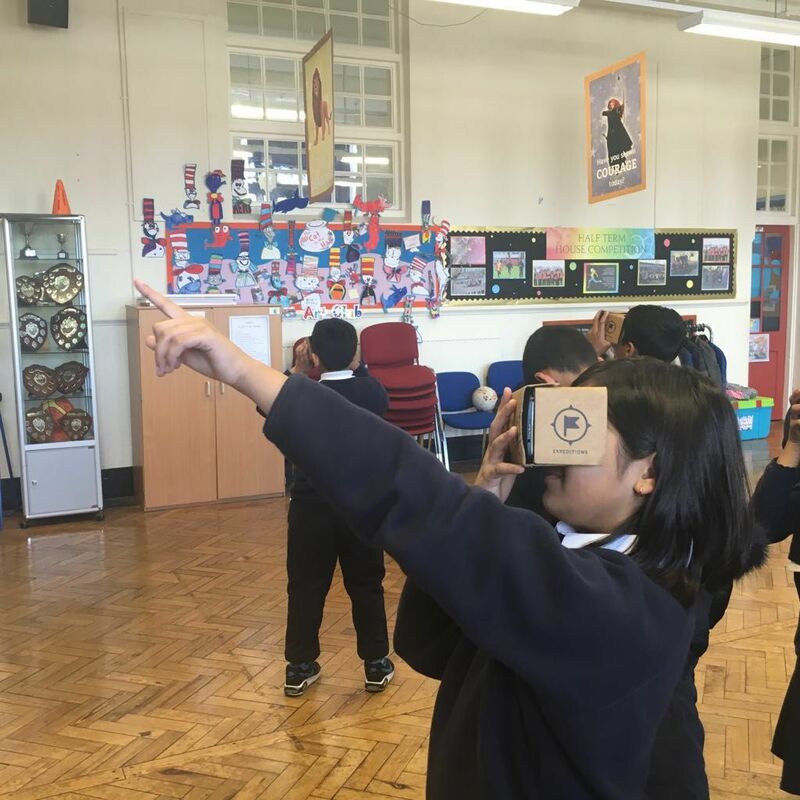 Using a tablet, teachers were able to guide the students from the deepest oceans through to the depths of space using virtual reality viewers. Central Park Primary School would like to purchase 5 mobile handsets capable of hosting such technology and embed the virtual reality experience across all subjects in the curriculum. Central Park is a large four form entry school that sits in the heart of East London. With nearly 1,000 students on roll, we boast one of the biggest ethnic diversities in the country. However, this in turn does have its disadvantages. Central Park also sits in one of the most deprived boroughs in the country: Newham. Whilst we ensure every effort is made to raise attainment in class and on educational visits, a large proportion of children are not always fortunate enough to see the world that exists beyond the school. This is particularly true of our new communities of families who have entered the UK from Europe including WEE families and those from Asian Bangladeshi backgrounds. Our children now find themselves wrapped up in a digital generation and whilst our school does its best to take advantages of all the technologies that exist on our ever decreasing budget, we occasionally need help. The handsets required to power the VR headsets will open up the lives of children in lessons and take them places that perhaps they may never get a chance to go. The VR goggles and handsets will become a regular feature in the all lessons and give children an active rather than passive experience. Immersive experiences and immediate engagement will raise the children's attainment in lessons and help contribute to the school's personal target on building children's vocabulary. 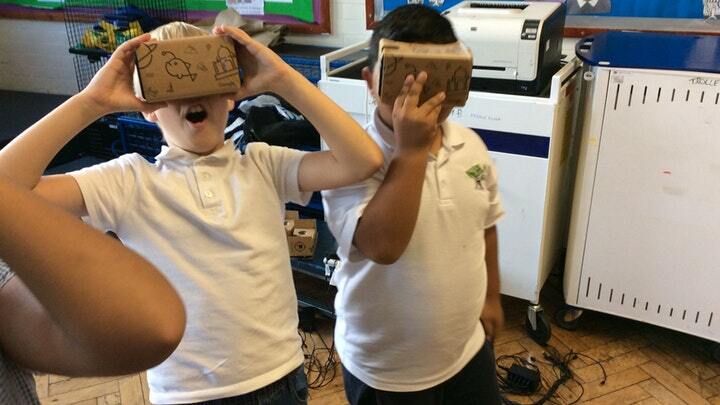 The VR experience is also suited to all types of learning styles whether children speak little or fluent English. With this funding we believe that our innovative thinking will allow those parents and children to be able to use the facilities and resources to fill in their gaps in learning and break the cycle of disadvantage and deprivation. You don't necessarily need to give money to help us succeed! Please share this project with anyone you think would support us – on Twitter, Facebook, LinkedIn, by email, telephone, in a chat over the fence or on your blog. Personal recognition from the school on our various media outlets.